One of the lesser known power tools is the angle grinder. Most people associate it with flying sparks and heavy construction. Turns out an angle grinder is one of the most useful tools to have around the house. If you have ever used one, you'll never want to go without one. Let's take a look at why angle grinders are so useful. An angle grinder uses an abrasive disk to cut through material. Unlike the teeth of a saw blade, which take small savings, the grit of a grinding wheel slowly wears away the material it is in contact with. Even metal cannot stand up to a cutting wheel for long. A quality angle grinder can cut through solid steel at a very fast pace. The abrasive disk will cut any material, but works best on hard materials like stone and metal. Soft materials like wood and plastic will catch fire or melt. The heat buildup during the cut is just too large. It's best to avoid making contact with these types of materials. 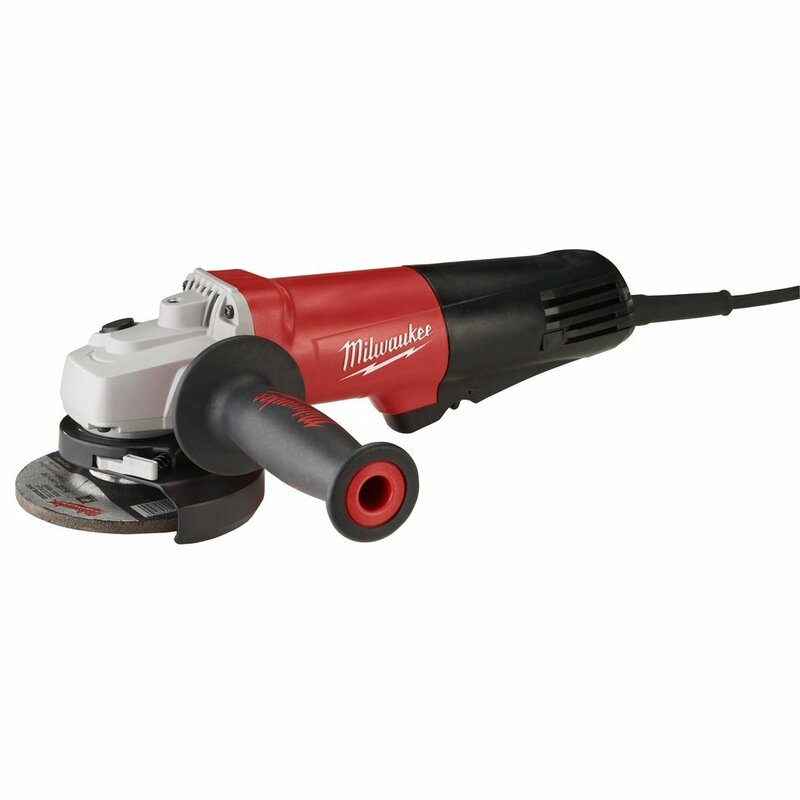 The angle grinder gets its name from the grinding operation it is most often used for. When grinding the flat side of the disk is used to gradually wear away material. Alternatively the edge of the disk can be used to make deep cuts. Used in this way an angle grinder will into cut anything. Concrete, metal, tile, clay, ... it can all be cut. The angle grinder's main function around the house is to make things fit into the trash can. The grinder's ability to cut anything makes short work of even bulky items. The tool will turn your old rusted garden furniture into a pile of metal. Everything will fit into your garbage can along with the week's regular trash. No special pick-up is necessary. In addition to being very useful the angle grinder is one of the most fun tools to use in the tool chest. There is something about sparks and noise that brings the kid out in every man. If you want to motivate your significant other to take the trash out, give him an angle grinder. An angle grinder adds the ability to cut anything to your tool chest. Now that I have the tool, I find more and more tasks for it around the house. Most importantly the grinder has been my introduction to projects done with metal. 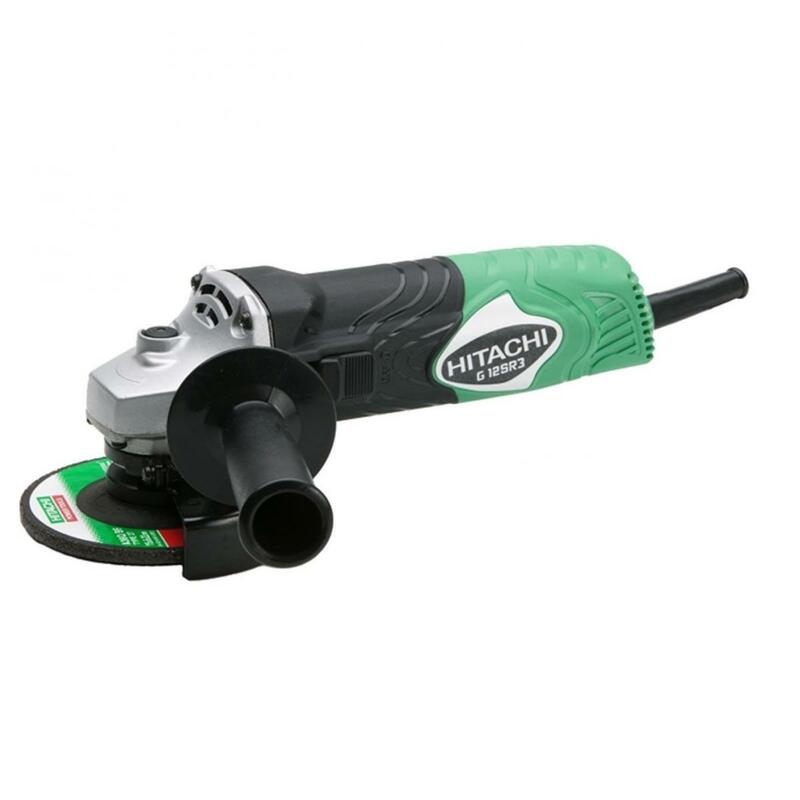 For home use a 4 1/2" angle grinder is the perfect choice. At this size the grinder is easy enough to handle and still capable of getting the job done. Larger grinders quickly become a handful to handle and would not make the work go any faster. Part of the reason why every household should have a grinder is the very low price of quality angle grinders. A good 4 1/2" model in the $50-$100 price range will serve you well as long as you own your home. There is not need to purchase one of the higher priced models. The grinder will pay for itself, if it saves you 1-2 trips to the dump. Angle grinders produce a spectacle when used. That's part of why they are so much fun to use. A few safety precautions are necessary to protect the operator. Safety Glasses: Safety glasses are absolutely necessary when using a grinder. A single flying particle that isn't much of a problem if it hits any other part of your body, will be a major problem if it hits your eye. As a rule, always wear safety glasses when turning on an angle grinder. Work Pants: If you are not careful some flying material may hit your pants. When cutting metal the angle grinder produces a jet of flying red-hot metal. If that stream hits your pants, the pants are going to get burnt slightly. The sparks are typically not strong enough to leave more than a little burn, even on bare skin, but it's best to be prepared. Wear old, reasonable thick work pants when using a grinder. If you use it a lot, consider buying a shop apron. Gloves: Gloves protect the hands from the grit and heat produced by the grinder. One of the most common grinder injury is a burn caused by the operator touching a white-hot metal piece after the grinding is complete. Gloves won't make you any smarter, but they will protect you from yourself and whole lot of other things. Mind the environment: The same jet of particles that can can hurt your person can hurt the environment. When properly oriented most of the particles will hit the ground directly below the grinder. Make sure that nothing flammable or delicate is located in that area. That includes the floor itself. Doing all work on the concrete floor of your garage or driveway is usually a good choice. You don't want to ruin your wood floors by mistake. 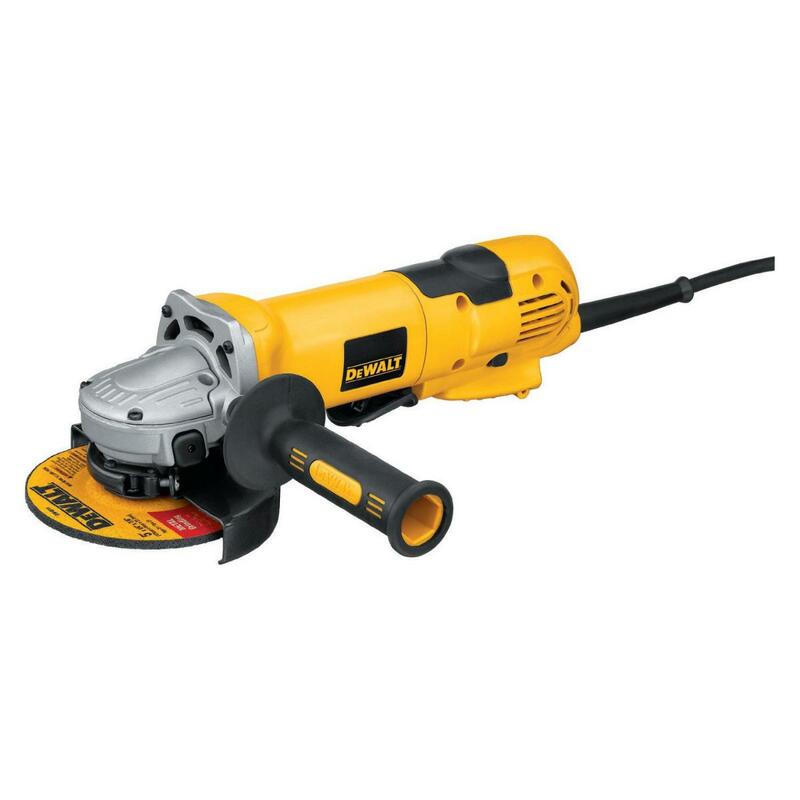 A 4 1/2" angle grinder allows you to cut anything any of your other tools can't. Around the house it will find regular use on trash day. Anything you want to throw away can be made to fit into the trash can. Good quality angle grinders are cheap tools to buy and run. You can pick up a very good model, which will last as long as you own your home, for around $50. Not to mention, the angle grinder is one of the most entertaining tools to use. Any DIY guy will agree.